Being a Managed Service Provider, we know viruses and malware, it's what we do. So for us, it's obvious pretty quickly that there is something living in your PC that shouldn't be there. Unfortunately, end users don't have the years of experience we do in finding the warning signs. Here are a few tips to help you identify that something isn't quite right and should give our support team a call. 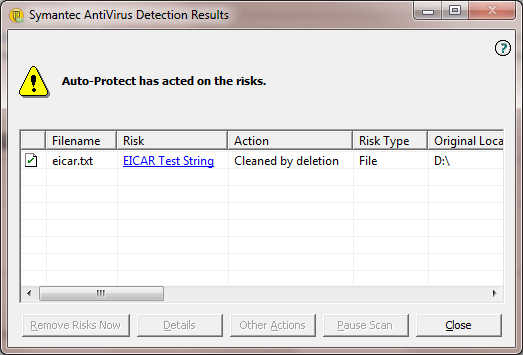 This one is the most obvious, the antivirus software is doing its job by finding and taking action on the virus. Most of the time, this won't require any intervention from your support team. Sometimes, a piece of malware brought into your system either via download or clicking a link on a page hosting malicious code will change your homepage or default search bar. While it may look like Google, Yahoo or another search page, the search engine will route you through their choice of pages, often times leading you to sites hosting even MORE malicious software. 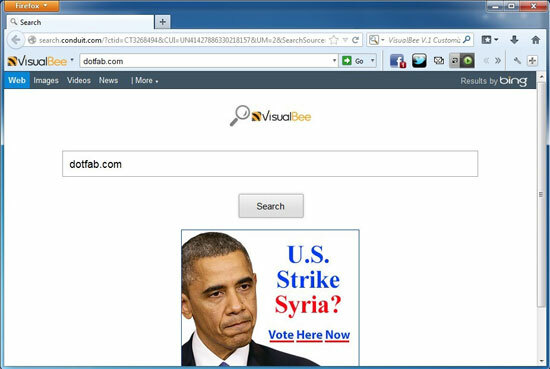 In the example below, you'll see two address bars. The top is genuine yahoo.com. It has http encryption to ensure security, and google chrome placed a green lock next to the address, showing that the website has been verified. In the second address, the webpage looks EXACTLY like yahoo search, but you can see in the address bar that you are definitely not at yahoo.com. Keep an eye out for this. Does your web browser look like this? Do you remember installing ALL those resource hogging toolbars, slowing down your system and taking up that precious screen space? Chances are you didn't, or those toolbars were packaged with another piece of software you actually did want. These toolbars could also be gateways to other software that will slow down your system. According to this window, it looks like you have some viruses on your system, and they want you to buy their software to clean it up. But wait! Though these may look official, be wary of what the software is, especially if it's not something you recognize. Most likely, the real antivirus software on your PC will be made by a company like Symantec, Kaspersky, McAfee, or Norton. You may also have installed one of the free antivirus software like AVG, Avast or Avira. Did that picture of you on vacation with your family that was your desktop suddenly get replaced by a warning that the FBI is coming for you? I don't know about you but I don't think the FBI would take $200 dollars' worth of gift cards and let that be your penance for cybercrime. Did it take longer to open your web browser today? Or your computer took a very long time to boot up? General slowness may be an indicator of a strain on resources or unwanted programs loading up. Sometimes, you'll be surfing the web when out of nowhere, you hear sound from your speakers. Sometimes, it's one of those annoying advertisements that auto-play (I know, I hate them too!) but even after closing EVERYTHING, the sound still works. Some malware & viruses will play sounds through your speakers'subtle, right? These are only a few examples of red flags to look for, but viruses and malware come in all shapes and sizes, and new ones are coming out every day. If you notice something isn't quite right, a quick call to ICS and a trained technician can remote in, diagnose, and get your computer back in top shape in no time.